While the financial crisis highlights the gaps and flaws of today’s complex financial system, those who are trying to innovate and develop better practices such as P2P lending, micro credit and P2P venturing are facing a lot of legal constraints. Similarly to the american initiative ‘Startup exemption‘, the French entrepreneurs are joining their forces to make their voice heard among politicians and other policy-makers. 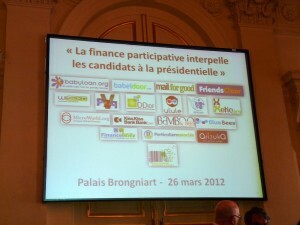 They wrote a manifesto and organized a conference in the former Stock exchange building of Paris. Lastly, I had the opportunity to meet several of these entrepreneurs and question them about the constraints that make them struggling to develop their models. 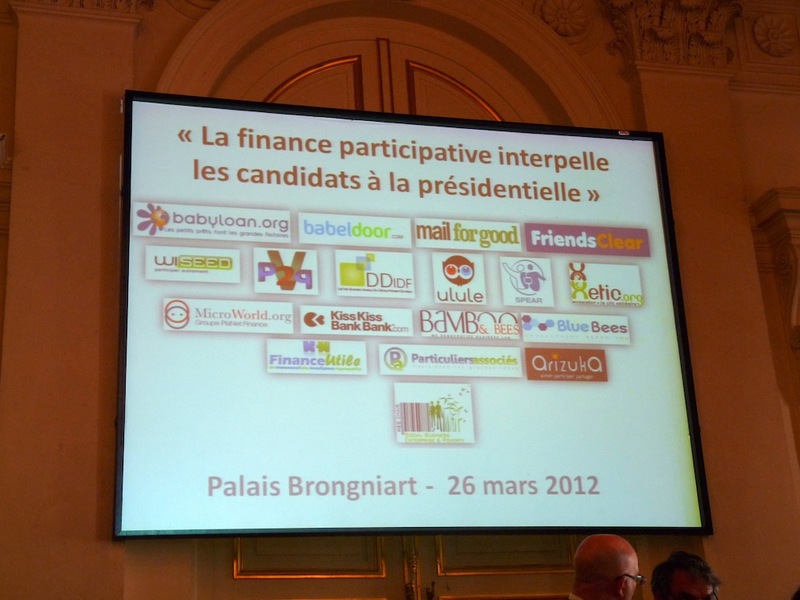 Put it simple, the problem is that crowdfunding does not exist in the french Law. Therefore, startups have to ask (understand negotiate) with the Bank of France to get a special authorization and comply with the central bank’s special authority requirements. Somewhat, I understand them. Because our activity is not explicitly authorized, the central bank cannot risk to override the legal framework it is supposed to regulate and enforce. But put together, all these little constraints eventually become a heavy burden for us. Especially because at any time, they can tell us we have to stop. France is also one of the very last countries to translate the european directive on electronic money (DME2) (which is set to be done soon, finally). If the bill passes, things would improve significantly. On the side of the Financial authorities, there also seems to be a lack of voluntarism to build a better legal framework. Apparently, people at the ACP (french financial supervisory and control authority) are not very active in promoting legal reforms at the European instances. At an audience of the ACP’s secretary Danièle Nouy in 2011, the Parliament precisely asked the ACP to be more pro-active in this regard. But according to people close to these institutions, the ACP’s representatives are mostly young people from the very French Grandes écoles. They are skilled, but lack of experience. As a result, their credibility is pretty weak, some people confessed to me. All in all, it’s a pity that so much attention is focused on regulating big financial businesses while little ventures offer concrete solutions that could be replicated on a much larger scale. We badly need politicians and regulators that understand the financial system and make the necessary decisions to adjust the system for today’s modern world. Traditionally, these people argue we need “more regulation” from official authorities. But will they never understand that the best possible regulation is when normal people have control over the destination of their savings?